Lets get roasting! 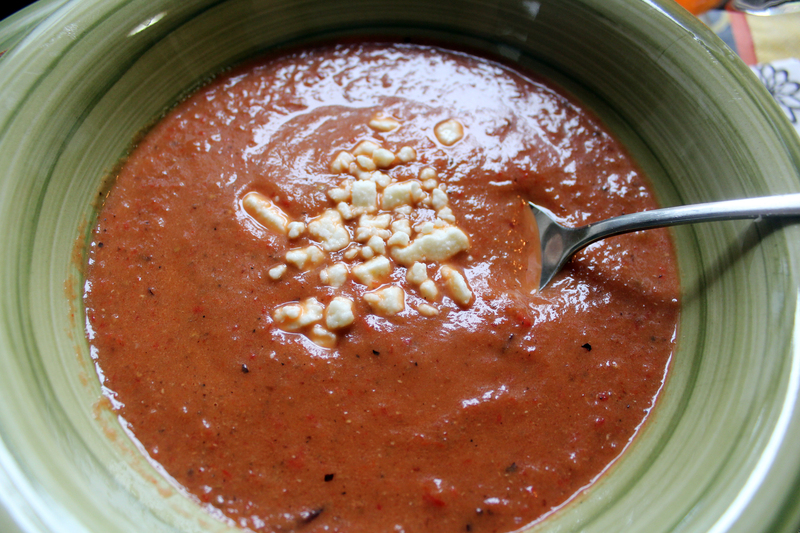 Red pepper, Eggplant, Onion and Garlic. Sweet fancy Moses, I could just eat those roasted veggies up. So tempting but think of the soup, you must resist so you can have the soup!! 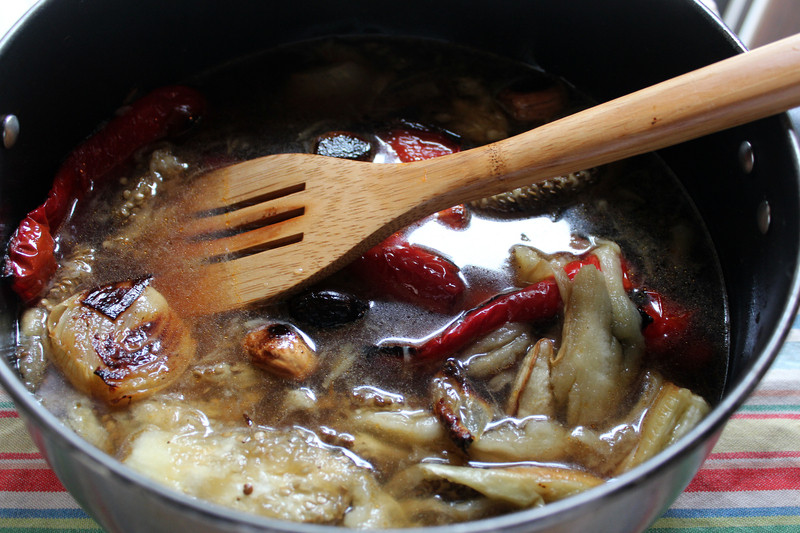 Scoop out the eggplant and add everything to the broth. Add your seasoning, cumin seed, ground mustard, salt and pepper. After you let it simmer for a bit we add some heavy cream and then, to the immersion blender! Preheat oven to 400 degrees. 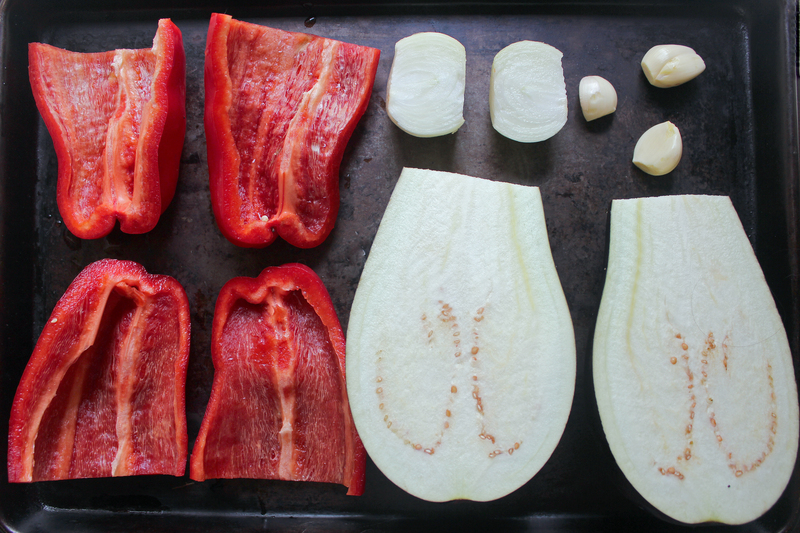 Place halved peppers, onion and eggplant on a rimmed baking sheet. Brush veggies with olive oil and sprinkle pepper on top. 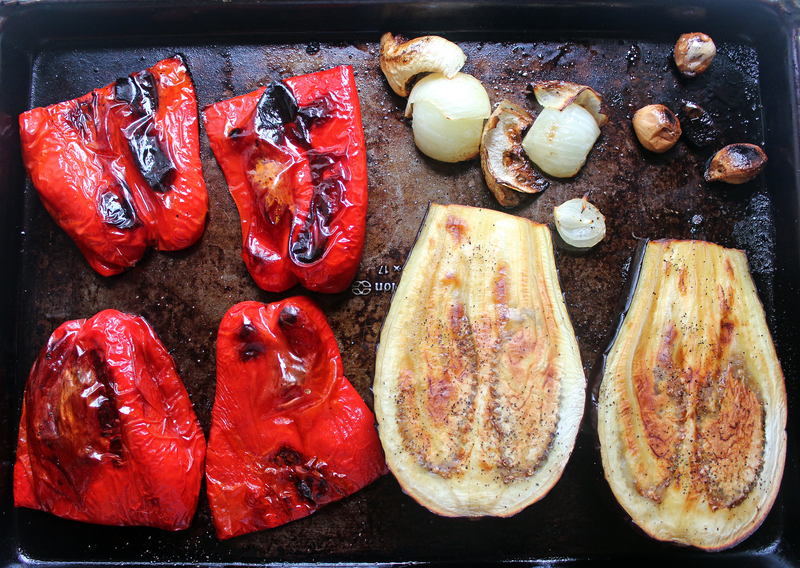 Roast in oven for 20 minutes, remove and flip peppers and add garlic cloves to baking pan, brush them with oil. Return pan to oven and roast for an additional 20 minutes. 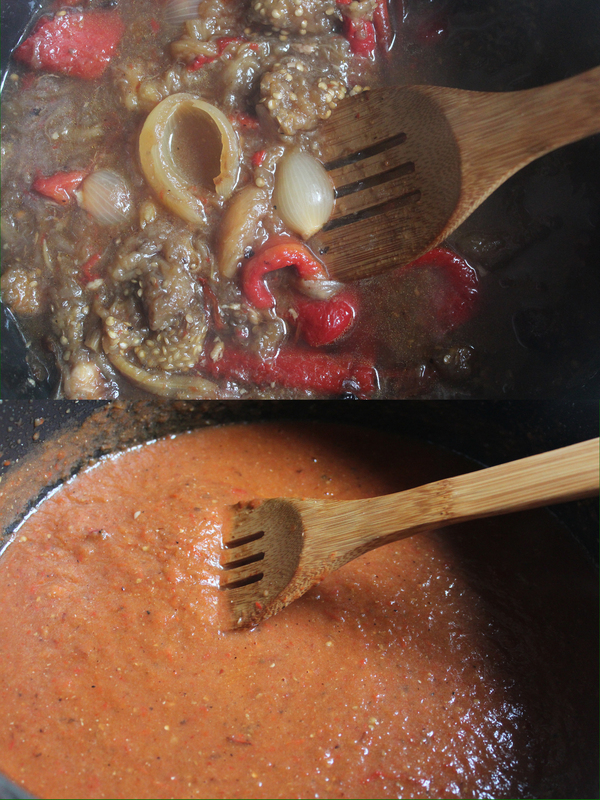 After roasted, add peppers, onion and garlic to a large pot, scoop eggplant from skin and add to pot. Pour in 4 cups of chicken broth and bring to a boil. Reduce heat to low and add ground cumin and ground mustard. Simmer for about 40 minutes. After simmering add heavy cream and mix in. Using an immersion blender get the soup to your desired thickness. Add salt and pepper to taste. 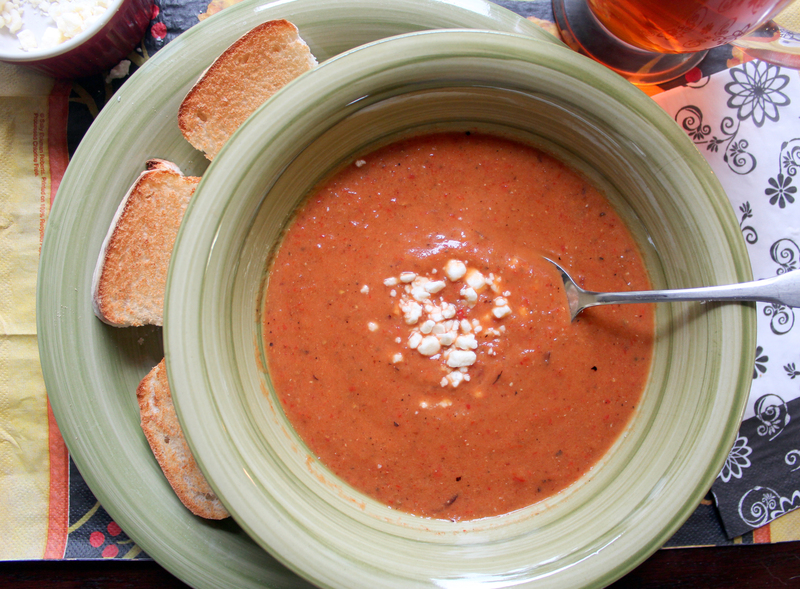 Serve with feta cheese and bread. Eat it all up. Enjoy! !